You spend the day in OB’s antique district—rows of stores filled with antiques and collectibles all down and around Newport Avenue. You stop briefly in the usual thrift stores lined with racks upon racks of old clothes. You visit Vignettes and wonder who sat in these chairs, what clothes were put in this armoire. At Ocean Beach Antiques Mall, you find a necklace that your mom would love and a simple bracelet for your niece. You pay and leave for your car, staring at the sunset the whole way there. You reach your car, feel in your pocket, and realize only too late the large hole and the emptiness where your keys should be. You try to retrace your steps to no avail and resign yourself to calling an Ocean Beach car locksmith. But the Key Crew isn’t your average Ocean Beach car locksmith. We’re better. Serving the county of San Diego since 1998, we have plenty of experience and knowledge to help you with all your auto, residential, and commercial locksmith needs. We’re mobile and available 24/7, so if you need to call for a locksmith in Ocean Beach in the middle of the night, we’re there for you. 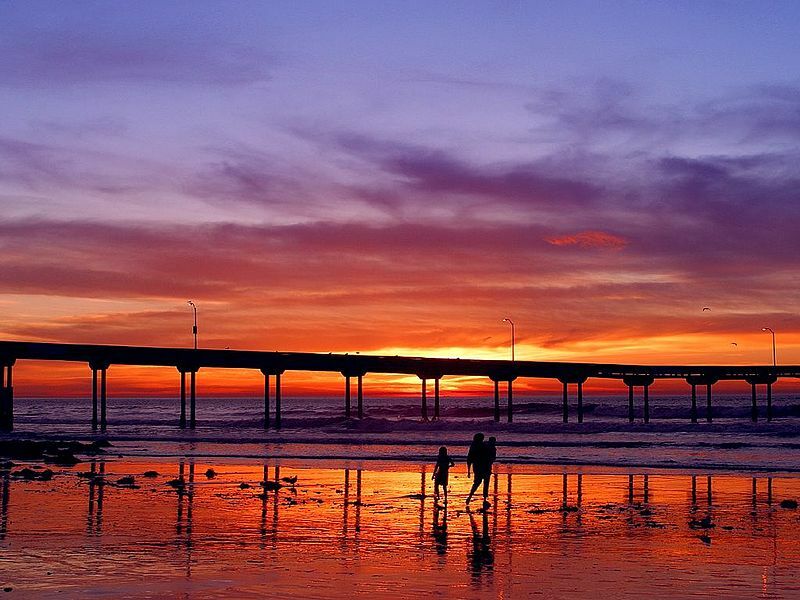 The Key Crew is a AAA-trusted locksmith in Ocean Beach, CA. We have a team of highly trained professionals who can fix locks, cut new keys, install new entry systems, or just get you into the space you’ve locked yourself out of. Don’t worry about—it happens to the best of us. At the Key Crew, we have a strong commitment to quality customer service. Our dispatchers are on-hand 24 hours a day, 7 days a week, and serve all of San Diego County. Please don’t hesitate to contact us if you need a locksmith in Ocean Beach, CA. AND: We can also make ‘Surfer Keys‘, a non-electrical version of your smart or transponder keys that can get wet and still unlock your vehicle with, (to retrieve your full set).